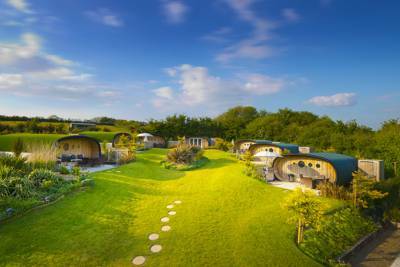 A secluded enclave of well equipped eco-pods in Bude, on the North Cornish coast, just a mile or so from a handful of beautiful sandy surfing beaches and rugged coastline. Our farm is an idyllic place for a holiday that combines the adventure of sleeping in the outdoors with the comfort and style of a cosy bedroom. 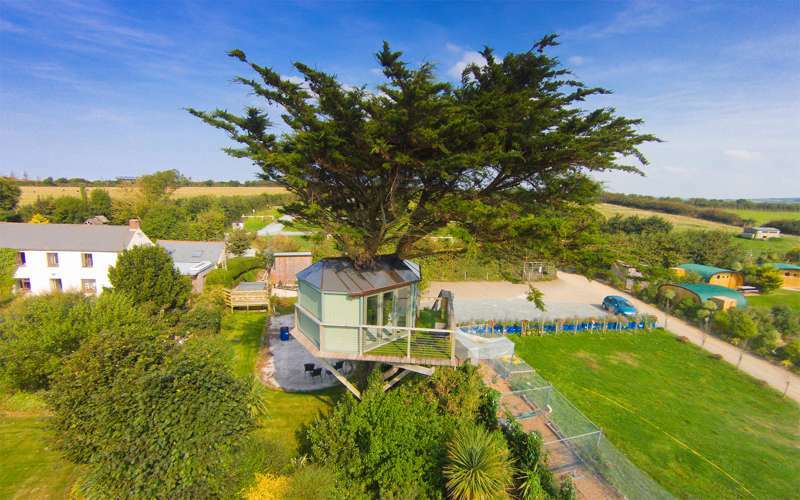 Ocean View Treehouse is 6 metres up, a beautifully crafted bolt-hole perched up in the tree looking out towards Widemouth Bay and open country. We have designed the roof to be clear on the north side and shaded on the south giving a wonderful feeling of space, and in the evenings the led lighting gives a cosy ambience. 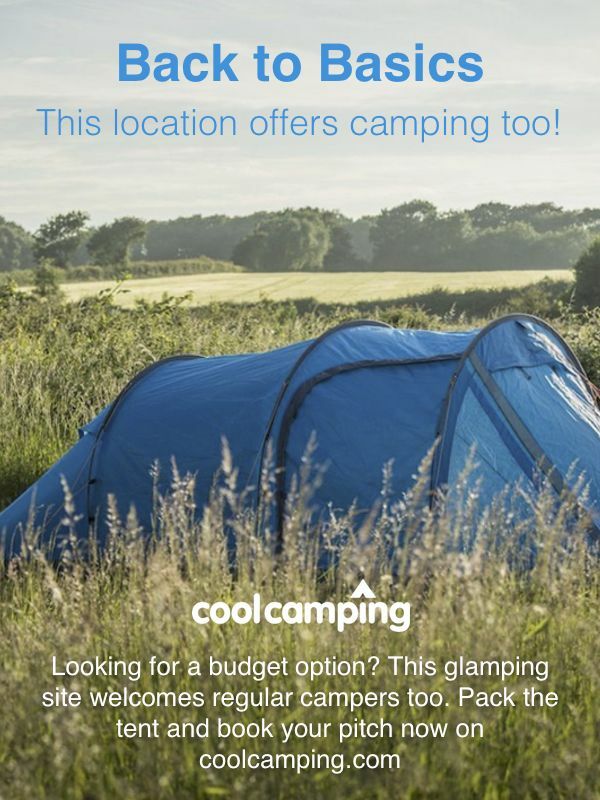 Atlantic Camping is situated back from the Atlantic Highway on the Cornish Coast a few minutes drive from the main surfing beaches of Crooklets, Summerleaze and Widemouth Bay. 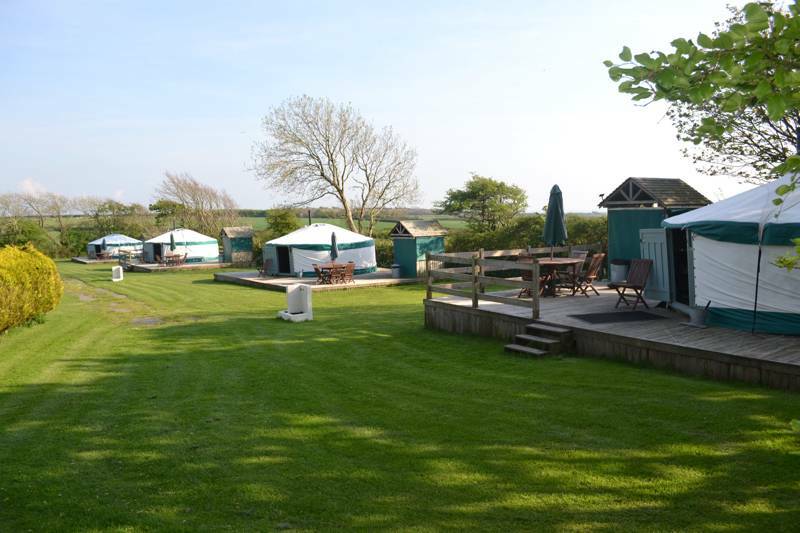 The campsite is a clean tranquil setting for you to enjoy your holiday. We are within easy reach of the rest of Cornwall so, you can park the car for the whole week and just relax or for the more adventurous, we are ideally located for exploring the myths and legends across Cornwall. Atlantic Camping is a small, family-run farm campsite. Many of our guests return time after time and it is camping as you may remember it as a child. If you are looking for a peaceful friendly campsite, where children can play safely just a mile from the beach, then you will love it here. If you need extensive facilities, then perhaps we are not for you. We would like everyone who stays with us to have a lovely time and never sell ourselves as something that we are not. Atlantic Surf Pods, each pod is a livable, spacious capsule, insulated to the highest degree, featuring under floor heating in the off season months to take the chill off colder nights, meaning they are comfortable all year round. They sit nestled amongst the lush and undulating landscaped lawns, each with its individual decked area, with gas barbecue-oven and outdoor furniture, a private external wet room, featuring a heated shower, flushing toilet and hand basin. Perfect as an escape from daily life! For latest availability and best prices for Surf Pods and Camping at Atlantic Farm, please use the Date Search above. Inside each pod features a king-size bed, solar and LED lighting and cooking essentials. Outside is a gas BBQ, dining furniture, giant beanbags, a flush loo and a heated shower. There’s also a shared posh shower room and toilet. The treehouse (exclusively for couples) features a double bed, state-of-the-art heating, LED lighting, kettle, combi-microwave, and electric cool box, plus a BBQ and private bathroom with a 'secret al fresco shower'. On-site there’s a farm shop, holiday cottages and a seashell workshop where you can decorate frames and mirrors. Bude is all about beaches and surfing: Summerleaze, Crooklets, Widemouth Bay and Sandymouth being the four main breaks, all within 10–15 minutes’ drive. Surfing outfits include Outdoor Adventure (01288 362900), which also runs coasteering sessions. If you prefer activities on terra firma, Bude Bike Hire will give you the low-down on cycle routes along the canal and coast (07749 408100). For wholesome grub and a pint, the pick of the pubs are The Brendon Arms (01288 354542) and The Bencoolen Inn (01288 354694) and The Falcon (01288 352005), all close to the heart of Bude. The River Life Café and Bistro at Petherick’s Mill is one of the closest restaurants to the site for good, reasonably-priced cuisine (01288 355994). The site is just off the A39 between the A3073 and A2073 turn offs to Bude. Look for the white and blue signs that say 'Atlantic Farm' and 'Shell Crafts'. From Exeter station take the X9 First National Coach to Bude. The Stratton drop off is only ½ mile from the site. 17 eco-pods and a luxury treehouse for couples, plus 55 tent camping pitches (28 with electric hook-up) in a separate field. Luxury wooden cabins in the stunning North Devon countryside. Coastal Cabins is the perfect setting for a relaxing break away from all the stresses of life. 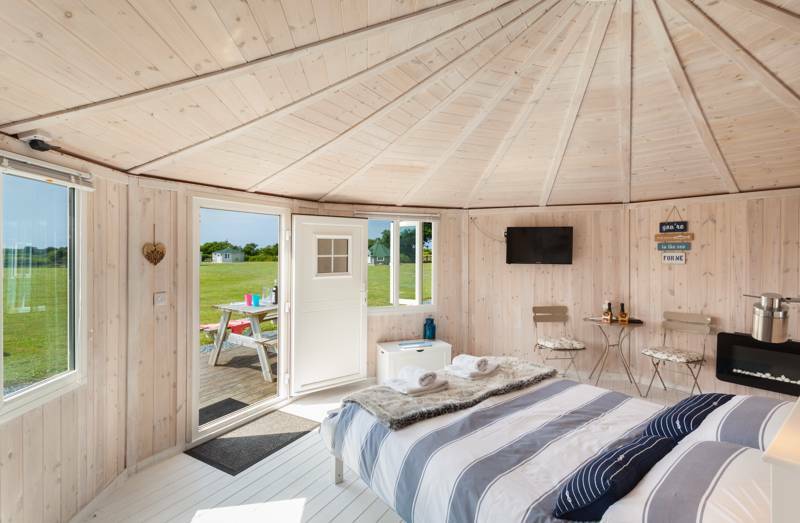 Stress-free family yurt glamping, and just a ten-minute drive from the stunning, wild coastline at Bude. 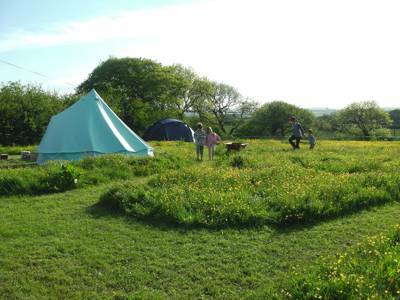 Small-scale camping and glamping on a 33-acre Cornish farm with separate meadows ensuring space, peace and privacy.